Eliot Sorel, MD, author of the just-published 21st Century Global Mental Health will be part of a book signing event at the American Public Health Association (APHA) Annual Meeting in San Francisco next week. The APHA Annual Meeting & Exposition is the oldest and largest gathering of public health professionals in the world, attracting more than 13,000 national and international physicians, administrators, nurses, educators, researchers, epidemiologists, and related health specialists. At last week’s Association of University Programs in Health Administration (AUPHA) Annual Meeting in Minneapolis, MN, Jones & Bartlett Learning displayed more than 100 leading titles for the study and practice of Health Administration. With topics ranging from health care marketing, to law, ethics, finance, and health reform, AUPHA members flocked to our tables to find just the right textbooks for their courses. Every year since 1995, communities across the United States have observed the first week of April as National Public Health Week (NPHW) - a time to recognize the contributions of public health and highlight issues that are important to improving the public’s health. Organized by the American Public Health Association (APHA) , NPHW is a national campaign that strives to educate the public, policymakers and practitioners about issues related to that year’s theme. This year, APHA will continue its broad vision to make America the healthiest nation in one generation by addressing the importance of prevention and wellness through the theme "A Healthier America Begins Today: Join the Movement". With over 100 titles designed for the successful study and practice of Public Health, Jones & Bartlett Learning shares this mission of preventing disease and promoting health. 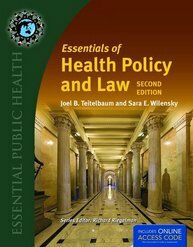 Browse our best-selling textbooks at www.jblearnign.com/publichealth. The above 30-second PSA is part of a $54 million campaign called Tips From Former Smokers launched by the Centers for Disease Control and Prevention Thursday. Using graphic, true-to-life images, the ads are intended to shock people into giving up their smoking habit. The CDC says the campaign is an attempt to counter the more than $100 billion that tobacco companies spend on marketing and promotion. "Get Your Plate in Shape" with the help of The Academy of Nutrition and Dietetics! Essentials of Managed Health Care , by Peter Kongstvedt, available on 4/2/2012. Qualified instructors are invited to request review copies. The Sixth Edition is the most significant structural overhaul of this book since the Second Edition morphed into the Third back in 1996. And while it is a hefty volume at just under a half a million words, it remains svelte in comparison to the fourth and, as of 2001 the last edition of its antecedent, The Managed Health Care Handbook, which had three times that. This does not reflect a shrinking health care sector nor a movement from complexity to simplicity, since neither is the case. It does reflect the commitment of the book’s contributors to providing a broad and sufficiently detailed overview of the key elements of health insurance and managed health care to meet the needs of one or more of its types of readers. At the same time, it means that some things are left out. As the editor, I bear full responsibility for any decisions about what to include and what to exclude, as well as any errors that may be contained in this text.